Ian Rainey’s article was first published in July 2018 in Ambition, the magazine of the Northern Ireland Chamber of Commerce and Industry. It is easy to predict that South Africa is bound to follow most African countries into bankruptcy and economic oblivion. The one chink of light lies in the fact that their new President, Cyril Ramaphosa is a breath of fresh air and has the intellectual and business flair which escaped President Mbeki and Zuma who followed Nelson Mandela. Not only has Ramaphosa a strong business background he has a political history worthy of note. Last month the Irish President Michael D Higgins was at Queen’s University chairing The Harri Holkeri lecture. Holkeri, the Former President of Finland was responsible with Ramaphosa for verifying the disposal of IRA weaponry as part of the Good Friday Agreement in 1998. Following a successful career in business, which included owning McDonald’s food chain in South Africa before selling it in 2016 to MSA Holdings in The Emirates, Ramaphosa’s estimated wealth is some $450 million. 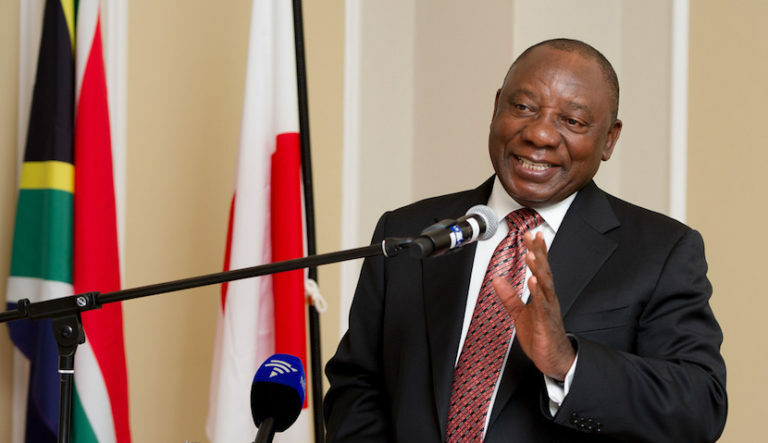 While he has considerable opposition and has had to play his cards close to his chest, since taking over the Presidency on 18th February this year, there is a strong body of opinion that he is slowly building a larger majority which should see him renew his Presidency in early 2019 and give him another five years to prove that South Africa can remain, for the foreseeable future the one country in Africa with a chance of not deteriorating into oblivion. The excitement of my going back to South Africa earlier this year was heavily underscored by the beauty of the country. To lie on the beach at Plettenberg Bay on the Eastern Cape with the massive Drakensberg Mountains on the horizon while the dolphins were jumping out in the Indian Ocean, just a few hundred yards away, is something few countries can offer. While lying there I was reminded of some of the experiences I had during my 10 years living in South Africa from 1967 to 1977. One particular holiday highlighted the nature of the population explosion, which is unfortunately endemic to Africa. A group of six of us from Durban went pony trekking for six days in the mountains of Lesotho. On our final evening we were engulfed in a storm with the thunder and lightning making the horses almost unmanageable. We called on two African Kraals (homesteads) but were turned away. At the third one we were lucky when the owner agreed to corral our horses and put us up for the night. This involved him disposing of his No 1 wife and her two children by placing them with his No 2 wife, while he stayed with us, as we slept with him and our wet belongings in his mud hut. It was interesting to note that his Kraal had six other thatched huts suggesting he had at least six wives. This underscores some of the statistics in the 2017 Economist year book which highlights that South African women average 2.3 children per mother. This does not even put South Africa in the top 25 countries in Africa. Niger heads the list with 7.5 children per mother. The lowest in the world is Taiwan with an average of 1.1 children per mother. When I emigrated to South Africa in 1967 the population was 22.5 million. Today it is 56 million. The UK in 1967 had a population of 54 million and today that has only increased to 67 million. While Ramaphosa has a chance to return some semblance of economic sustainability to the country, it will never regain its credit rating with the world’s top rating agencies which underscored bank lending to the country pre 1994. During my 10 years with Philadelphia National Bank from 1967–77 we were lending money to the country’s banks for up to 5 years. Today only one of the three rating agencies approves of International Bank lending for up to 6 months. Ramaphosa’s challenge is to get economic productivity under control which he will have to do at the same time as quelling the demand to take over farmland. However, I believe he is the one man in South Africa who is capable of differentiating that country from the rest of Africa. To understand Africa better I recommend one reads Paul Kenyon’s fascinating book “Dictatorland – the men who stole Africa”. Ramaphosa has already proved he is both a businessman and a politician who stands out on that continent when compared to those who stole Africa.